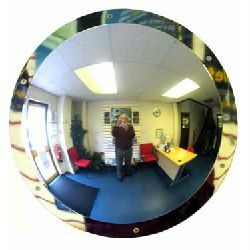 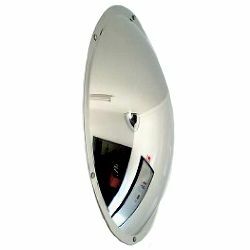 Institutional mirrors have been developed for use in harsh institutional environments. 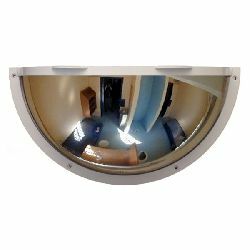 Secured by Design (Police Approved Specification), they are often used in police stations, prisons, secure hospitals and psychiatric facilities, etc. 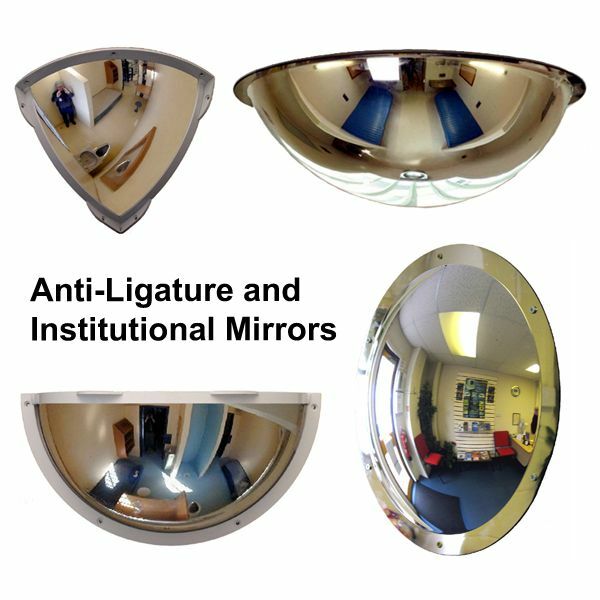 Institutional mirrors are also often referred to as anti-ligature mirrors and offer unique features that meet stringent Home Office, Police and Prison Service standards. 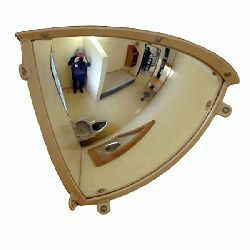 Anti ligature mirrors are often an essential part of these type of applications, providing additional safety and security for staff, patients or inmates and visitors at an affordable cost. 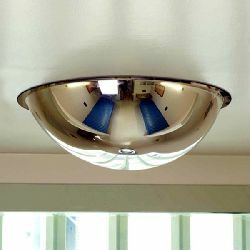 When installing Antiligature mirrors, such as the quarter, half or full dome models, it is strongly recommended that an anti pick sealant be used to eliminate any gaps between the wall or ceiling and the mirror frame which may provide a ligature point (not all walls or ceilings are true!). 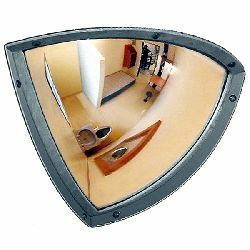 Once the mirror has been installed, it is also recommended that the anti-pick sealant be applied over the heads of the fixing screws, to prevent easy access.